You can expect to be contacted Promptly and receive your Free Estimate within 24 hours!! New England Painting is Hampstead NH’s #1 Painting Contractor. From Interior & Exterior residential house painting to commercial and industrial painting we do it all, small projects to entire developments. We provide estimates within 24 hours, do not require deposits, offer written guarantees, furnish references upon request and are insured for over $1,000,000. We would love for you to join our long list of satisfied NH customers. Consider inviting a NH painting contractor you can trust and enjoy the high standard of business practice you’re entitled to. New England Painting is a local NH painting company. It was Created and is owned and operated by New Hampshire native, lifelong resident and master painter Anthony Ward. Customer Reviews in Hampstead New Hampshire. "Dont search any longer, this is the BEST painting company you could ever hire! Exceeding all our expectations on all levels! Thank you Tony." "New England Painting was very professional, timely and of great value. The work team was respectful and neat without sacrificing expediency Thank you for your efforts. The house looks great and you guys did a very professional and timley job." "Tony and his crew did a super job with our home. His estimate was accurate and complete, communication throughout the process was excellent and it came out looking great." "THANK YOU NEW ENGLAND PAINTING!! Tony, you and your crew were courteous, professional, and helped transformed our house to a thing of beauty. Our original contract quickly doubled in size and included the addition of faux styles, but you and your team handled the job with a smile. We will be sure to call again." "Anthony, Thank you for a great job painting our house. The crew was very professional and got the job done fast. Thank you." "When it came time to have our house painted, I requested bids from three different companies. Not only was NE Painting the ONLY one to respond, but their response was within 24 hours. They showed up when they said they would, completed the job within three days and held to their very reasonable bid. On top of that, their work was impeccably neat, and they cleared up all their equipment every day. I highly recommend New England Painting." "Tony, Thank you for doing a great job on the interior of our home. Your communication skills are excellent and were able to complete the project with us being out of town. The project was completed on time to our satisfaction." "I would like to thank New England Painting for the thorough job that was done in the painting of my home. I appreciate your attention to detail and the professionalism that was evident throughout the whole job.It was evident that the main goal in the completion of this job was that the customer was satisfied. All of the workers were courteous, pleasant and hard working. It is with great pleasure that I recommend New England Painting Thank You for a job well done!" "Thank you to Anthony and the whole crew for transforming our house and garage into a show place that far exceeded our expectations! The end result of their work was amazing. Your professionalism and experience makes it easy to recommend New England Painting to anyone and everyone." "Tony, Thank you!!! The house looks beautiful. We are so happy…we actually sold the house in a record two days! It made a huge difference taking down the textured ceiling and painting all of the dark trim. It looked like a new house when you were done. We would happily recommend you to all of our friends and neighbors. Thank you again." "Anthony and his company painted the exterior of my house and a few interior rooms as well. He and his crew did an excellent job at a very reasonable price. I was very pleased with the work and Anthony was a pleasure to work with." "Tony, Your team did a great job. The house looks great and I hardly knew you guys were here. You began when you said you would and the price was fair. We look forward to talking to you around November to discuss doing the inside work also." "Tony and his team are fantastic. We waited about 2 months for them to be available but it was definitely worth the wait. His crew was fast, had great attention to detail, were very personable and provided first rate customer service, all at a reasonable rate. Highly recommended!!!" "Tony was very helpful from product selection thru the entire job. He and his crew was professional and efficient. Tony took extra steps when needed to ensure the job was done properly. My wife and I were very happy with the result." "We had our house painted by New Englad Painting last week. The owner Tony and his workers were very courteous and prodfessional. They completed the work on time and did an excellent job. I would certainly use them again the next time we need to paint our home." 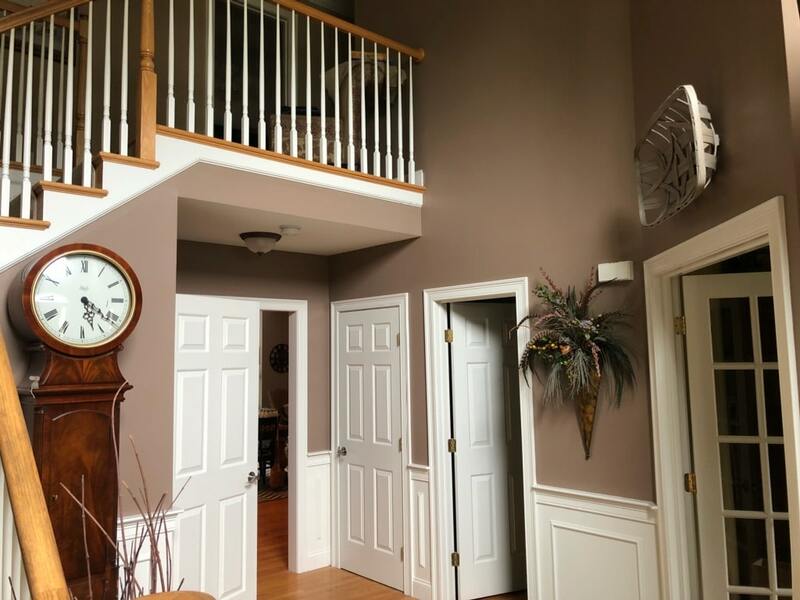 "Tony and his team at New England Painting did an exemplary job in painting our entire interior house. His team was meticulous in their technique and spent extra time correcting and repairing existing wall defects so that their painting would look good. The team was accommodating to our feedback and requests for on-the-spot changes. The paint job was completed expeditiously (much quicker than we had anticipated). The team was extremely respectful and courteous. We are very happy with the end result and would highly recommend." "Thanks so much to Tony and the crew of New England Painting. You were all great to work with- we'll be sure to recommend you to all our friends and family for any interior or exterior painting!!" "Anthony, It was a pleasure having you and your crew providing the painting services that were required on our house. Your crew was not intrusive, did the work expediently and were very neat. We have had many compliments from our neighbors regarding the appearance of the house. I will also say that the cost was far less than the three other estimates that we received for the same job. I would highly recommend you to anyone in need of painting services." "Tony, I wanted to convey my sincere gratitude for the paint job you did on the house. Your crew was clean, efficient, and courteous. Your estimate was on the lower end as far as price but the quality of your work was terrific. We will use you in the future and recommend you to our friends." "Thank you to New England Painting and its crew for painting the exterior of our house after such a harsh and unforgiving winter . Now it breathes new life and is thanking you too. Your crew was efficient and hardworking, not to mention ultra polite. I have already recommended you to my friends. Thanks again, I have re-fallen in love with my home." "We were very pleased with the job New England Painting did for us. Our time frame was very short and Tony worked with us to meet our needs. 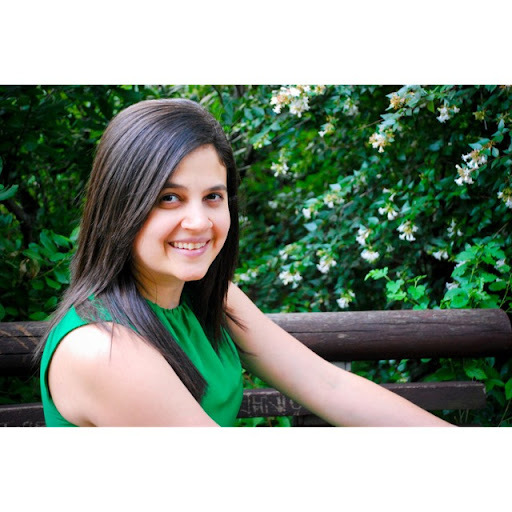 They were professional and pleasant to work with." "Tony, Thank you!!! The house looks beautiful. We are so happy…we actually sold the house in a record two days! It made a huge difference taking down the textured ceiling and painting all of the dark trim. It looked like a new house when you were done. We would happily recommend you to all of our friends and neighbors. "Wev'e worked with quite a few contractors in the past. None of them brought the level of customer service, quality and price that New England Painting did. It really was an impressive experience." 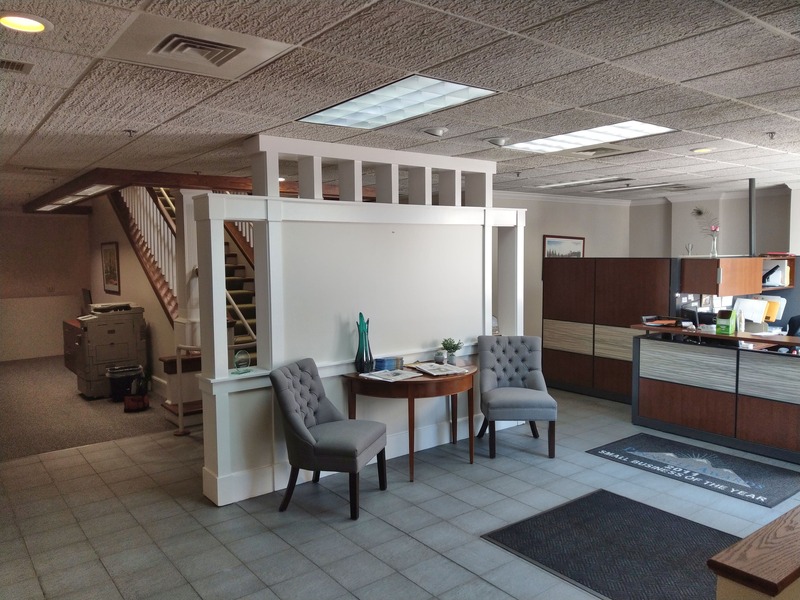 "When searching for a company who would paint the interior of our 9,000 sq ft building, I came across New England Painting and found they had excellent reviews, thus the reason for picking them. Tony and his crew were amazing to work with. With very minimal Interruption, they had us done in the time planned. Thank you"
"Tony, I am writing to express my gratitude for a job well done. I have been a do-it-yourself home repair person for all of my life, and I am very particular about the quality of work that is performed on my home. The quality of work was superb, some of the best exterior painting that I have ever seen. I would also like to say that the level of professionalism and interaction of the paint crew that showed up was refreshing. I would recommend New England Painting to anyone who asks." "Tony provided a professional and reasonable estimate for painting the outside of the house and was responsive to my questions. His crew did an excellent job and the house looks terrific. Tony is customer focused and strives to please." "Everything about working with this company was top notch. Owner Tony is responsive and very customer service oriented. He checked in with me every day to make sure I was 100-percent satisfied. I always was. His crew was respectful, neat, timely, proficient and quick. You almost forgot they were even in your house. It was a big job, essentially my entire main floor and all of the trim and baseboards. My house looks incredible. Not only was the workmanship and service amazing, the price was very reasonable. Tony explained exactly what they would do and that's precisely what happened. This company made a big job look easy. So glad I did this. Make the call and you'll get a quote by the next day. How many companies in this day and age can you say that about? Many thanks to New England Painting Company for thoroughly exceeding my expectations in every way. Five stars for sure." "Thanks to New England Painting for a super job done in a timely fashion and at a great price." "Tony and his crew did an excellent job! Tony came as soon as I called to give me an estimate for our office to be painted. His crew came right on time and did exactly what I asked of them - all were very professional and really neat. I would definitely use them again and wouldn't hesitate to recommend them"
"Tony and his team were both courteous and professional. Work was completed in full and as promised. We thank them for a great job and and would not hesitate to hire them for any future painting project we might have. Sharon & Joe"
"New England Painting is a first class organization. The painters are excellent and very caring about pleasing the customer. We would not hesitate to use them again. 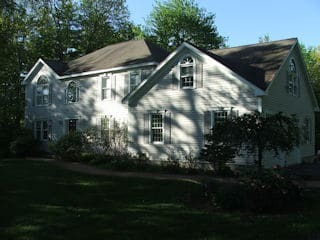 Kathy and Walter Shapiro"
"New England Painting was extremely professional. They provided expert color advice and money saving tips. The work was completed on time, on budget, and my home was treated with the utmost respect. I would highly recommend this company and would hire them back again myself!" "New England Painting are as good if not better than they say they are. They Powerwashed, scraped, sanded all the exterior then painted/ stained the house and deck. Exceptional work, professional, highest quality work I have ever experienced and no extra surprises. Did the work for the quoted amount and on time, never asked for payment until job was done. Very respectful of landscaping and made sure they cleaned up after themselves. We highly recommend them, in fact we are getting a quote to have some interior painting done." "We just wanted to thank Tony and his staff for the exceptional interior paint job they completed for us. Their attention to detail, professionalism and scheduling flexibility did not go unnoticed. This is the first time we used this company but can honestly say that it will not be the last. Thank you New England Painting!" "Tony, We are so pleased with the outcome of the painting and the pleasant experience in general. We will definitely pass your name along to our family and friends!!" "Tony and his team did a phenomenal job painting the exterior of my home. The quality and care they put into their work shows in the results. I would highly recommend Tony to anyone needing painting done. I'm confisent you will be as pleased with the results as I am!" 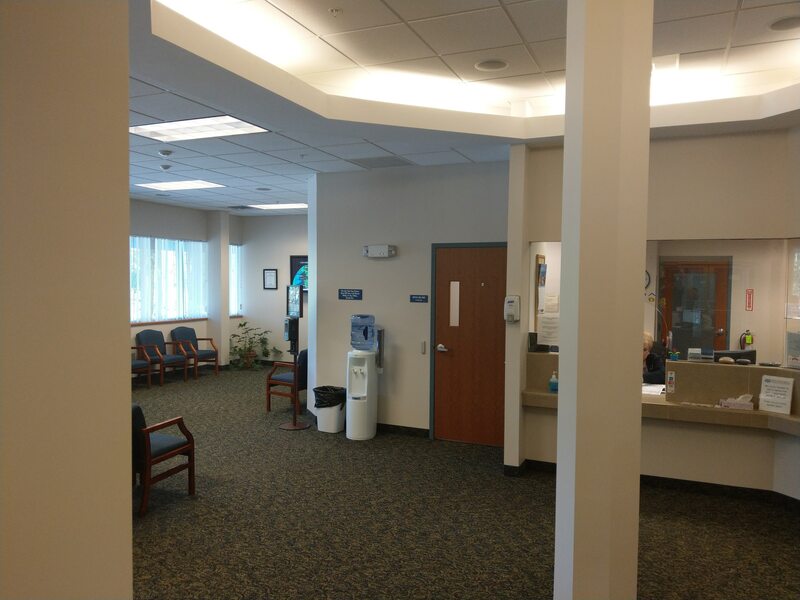 "We are extremely pleased with the level of service from Tony and the New England Painting crew who renovated two office for us along with extensive trim painting in one wing. The pricing was competitive and Tony was very professional, communicative, friendly and flexible throughout. The quality of the work was so good, we've already asked them to do another job for us! Thank you Tony & New England Painting. 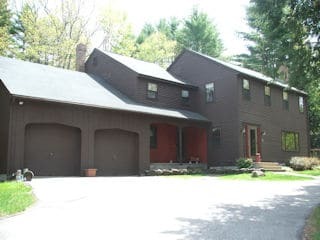 "I just want to say that I am very pleased with the quality painting New England Painting did on the exterior of my house. You beat my timeline, the team was neat, price was fair and you were responsive to my questions." "New England Painting painted our exterior and did a fantastic job. Everything from the initial call for the estimate to the final clean up was handled with complete professionalism." We had a horrific experience with a contractor prior to hiring your company. My husband and I were very hesitant to have people working in our house after what had transpired. However, you renewed my faith that there are good people in the world. You gave us a very fair price and did an amazing job. You completed our work far before our promised deadline and made sure we were completely satisfied. I would recommend your company to anyone and will certainly call you in the future. Thank you for you professionalism, hard work and great sense of humor! It was truly a pleasure working with you." "Tony, Thanks again - Really love the new color. I found working with you very easy and truly professional - always get back to me when I call and quick with a quote. Will be calling you at some time in the future for some indoor painting projects." "New England Painting just completed a paint job for us within 48 hours. They came in for an estimate and we were able to book them to do the job immediately. Their attention to detail and expeditious manner in completing the job were unbelievable. The really went above and beyond to meet our quick timeframe, and ensured we were satisfied before they considered the job complete. I've already recommended them to friends within our town." "Hi Tony, Good job coordinating and managing the exterior painting of our house. The work done by you and your crew, even on those cold fall days is appreciated. Your attention to the final touch-up details is also appreciated. Thanks to you and your crew!" "When the time came to repaint the trim and shutters of my home I did not have a clue were to begin. The logical place was the yellow pages and that is how I found New England Painting. I had the pleasure of meeting Tony Ward who came to my home and within 48 hours he visited my home and I had a quote.The NE Painting crew was professional and very considerate and the work exceeded my expectations.My husband and I plan on using NE Painting again in the spring. Would I recommend them? I already have." "Tony at New England Painting restored my cape with oil wood preservative and my home looks like new. Thank you for a professional and high quality job. The painters were excellent and worked very hard. Tony was available during this project for any suggestions or support . Very happy with the results and the efficiency and quality of the project !" 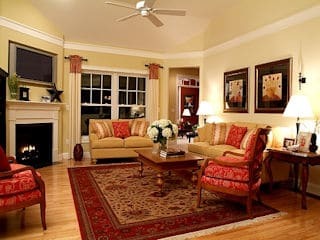 "New England Painting is a pleasure to do business with. They arrive on time and stand behind their work. 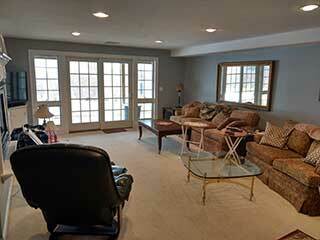 They Respect your property and were professional on all aspects while in my home." "Anthony and Staff, A job well done! We were very impressed with your professionalism and willingness to meet our needs. We would be delighted to recommend New England Painting to anyone looking for a painting Contractor and won't hesitate to contact you for any work we may need done in the future." "We highly recommend Tony and New England Painting for all your painting needs. As first time customers we couldn't be happier with our new exterior paint job. They were professional, courteous and got the job done in a timely manner. Thank you Tony and crew for a job well done." "We all praised your work ethic. You are a painting contractor one can certainly rely on to do a professional job, keep his word and give a customer what he/she wants when he/she wants it and at a very reasonable price. This is the first time I have experienced a contractor that kept schedule, well done. I am sure we will be doing business again in the very near future. Thanks again for a job well done." "Tony Thank you so mcuh for doing such a fantastic job on our home. Its nice to do business with someone who knows how to take care of their customers." "Tony at New England Painting was the first company to call me back, meet with me and submit their estimate. I was impressed with the prompt service and quality paint job. Great Company!!" "Tony and his crew did an excellent job on the painting of walls, trim, and ceilings. He was very flexible with meeting times and worked around my schedule. He was upfront and honest about the overall time and costs needed to complete the job and I was very impressed with the work once it was completed. I would surely use New England Painting again for any other work I needed done." "We are very pleased with the overall experience from New England Painting. They were very quick to respond to phone calls, emails and even texts! We would highly recommend them for any project, the quality of the work is excellent and they go above in beyond when it comes to customer service!" "We just want to thank Tony and his crew for the excellent exterior painting job. They arrived on time each day and were very pleasant to deal with. They were detail-oriented and made sure we were 100% satisfied upon completion. This is the third time we have used NE Paint and we definitely would recommend their services." "Tony, The house looks great! We are thrilled with your work on the house and the customer service of your company. The price quoted was the most competitive quote and there was no surprises at the end of the job- the price quoted, was the price invoiced. The house looks better than ever and we are thrilled to have invested money into maintaining the value of our home." "Our experience with New England Painting was wonderful from start to finish. We would reccommend calling them to anyone looking for professional service and superior quality." "I want to thank you and your team for making our exterior silos look good again. From start to finish the job was well planned, efiicient and highly effective. I would certainly recommend you for other painting projects at Coca Cola"
"New England Painting painted our duplex at a very competitive price and did a very good job. Polite, helpful and courteous employees made everything go smooth. We are very happy"
"Hello Anthony! I am very pleased with your preparation and painting work on my house, not to mention our price and quality of paint you used. The job was speedily and neatly done. What a change! I am very happy to recommend New England Painting to anyone considering painting their house." 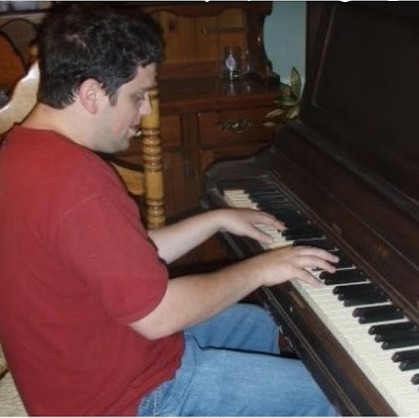 "Tony is a true painting professional who's focused on customer satisfaction. He and his crew do a great job, and they get it done quickly." "Hi Anthony, Just wanted to say that my wife and I loved the paint job that you and your crew did here. The colors are just beautiful. The rooms look beautiful. We will definitely recommend you to other people we know that would need a paint job. The price was just right. Thank you again"
"New England Painting was clearly the right choice for us, not only was it an exceptional value but their quality work was completed efficiently, professionally and no corners were cut. I highly recommend New England Paining for all of your painting needs!" "We were so impressed right from the beginning with N E Painting. We found them on the web! Tony answered our call right away, and came to give us an estimate exactly when he said he would.The level of professionalism was so amazing, we didn't bother getting any other estimates. His crew is polite, friendly, and very hard workers. We love the job they did for us. We would highly recommend them. Thanks Tony :-)"
"As a local builder we rely on our subcontractors to get the job right. Tony Ward at New England Painting consistently provides the highest level of service and customer satisfaction at a reasonable cost. Tony has always met deadlines, been on budget and is a pleasure to work with." "Hi Tony, You and your team exceeded our expectations. We were impressed with the speed and quality of the work and are very pleased with the finished product. You followed through on all of your commitments and we would definitely recommend you to our friends and family. Well done!" "Anthony and his team did a terrific job when painting our house. Also his workers were so considerate when getting it done that we were truly impressed. The house looks great.Altogether a good experience." "Working with you was very easy, you understood what we wanted done, provided paint options (odor vs coverage), quote was comprehensive and competitive and you came back to do the touch up work." "We have had occasion to work with a number of contractors over the years and working with New England Painting was one of the most pleasant. Tony & his crew are very personable and have great work ethics. We strongly suggest anyone needing painting call them." "I highly recommend New England Painting. Their professionalism, customer service, timeliness and cleanliness are all in the superior range. We hired Tony and his crew last year to paint a rental property, and had no hesitation to hire them again this year to paint our main home. They delivered as promised and more, and we look forward to using their services again." "I just wanted to thank NE Painting as the company did a phenomenal job inside and outside of my house. They made it very easy to live there while they painted the inside of our house and they were very professional in their work ethic every day. They also, double checked everything with me and made sure every inch was what I had requested. I think they are 5 star material!!!!" "Tony, thank you for responding so quickly with an estimate and for beating our deadline to have the house pressure washed, the trim painted and deck stained before our cookout this summer. You far exceeded our expectations, and your professionalism and quality of work are outstanding." "I had my exterior done and the work was all done in one day! Thank you again for all you have done. Anthony Ward and his team did a fine job and I would recommend him to do work again." "I was very impressed with the professionalism and level of customer service of New England Painting. The estimate, follow up, and scheduling were done very promptly. I couldn't be more pleased with the quality of their work! I would recommend New England Painting to anyone looking for quality workmanship, excellent customer service, and fair prices." "Anthony, Your whole team did an excellent job painting our home. We appreciated how professional you were.It is so nice to come home to a house that looks brand new!! Thank you very much, Doug and I will have no hesitation in recommending New England Painting to our friends, it was a pleasure doing business with you!!" 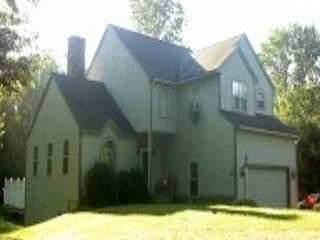 "Tony, I just wanted to say Thank you to New England Painting for the great job that you and your crew did on my home. My house looks classically beautiful, and the work was done most professionally! Thank you for the great service!" "Very, Very nice work Tony. Every phase of the job went well from the inital meeting to the estimate to the walk-thru. Thank you for a job well done." "We are very happy with the quality of work. The NE painting team was professional and courteous. They were very efficient and did an excellent job.They finished the work in the proposed time frame and are very reasonably priced.I can honestly say that I will call them again!" "We had New England Painting paint the exterior of our home this year. We found our experience most satisfying. The professionalism, timeliness, expertise and courtesy of the crew exceeded our expectations. The finished product is of the utmost quality, so much so, that we would not hesitate using them again." "Dear Tony, Thank you again for doing such an exceptional job on our home. The service you provide and the quality job you do is exceptional. Thank you so much!!" "We highly recommend Tony and his company, New England Painting. Recently Tony and his crew painted our entire lake home. Tony was everything you look for in a contractor. He was extremely courteous, generous in his time and consideration of the job, on time each day, and timely in his completion of the job. Needless to say, we were very happy with the final product and would recommend New England Painting to anyone." "I highly recommend New England Painting. They are professional, courteous, and clearly dedicated to customer satisfaction. They do quality work, and are a pleasure to do business with." 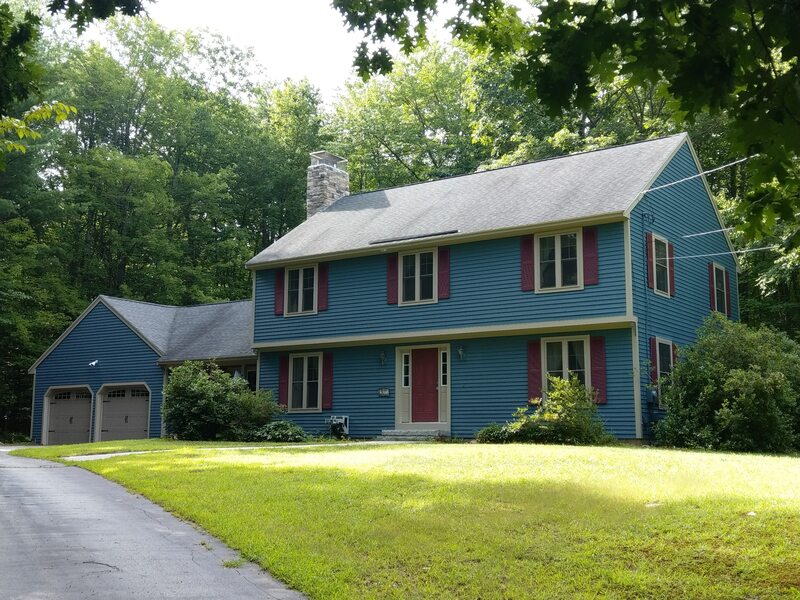 "New England Painting recently completed the exterior stain and painting of my house. I could not have been more pleased. From the get go, Tony was professional, honest, timely and offered services for a reasonable price. I would not hesitate to contact New England Painting for any future work." "Just wanted to mention how pleased we are with the results of the interior painting - what a difference! I can’t believe how quick the process was. I will definitely keep you in mind for my next job and tell me friends!! Thanks so much!!" "Anthony - You and your crew from New England Painting did a great job painting the exterior of our house. We are very pleased with the results! The service was very professional and you did a quality job at a reasonable price." "Tony, I wanted to pass along a quick note telling you how impressed I was with you and the job you did painting my house. The paint job on the house looks fantastic, but I expected that it would. What impressed me even more was your companies professionalism, attention to detail, cooperation and that willingness to go the extra mile. 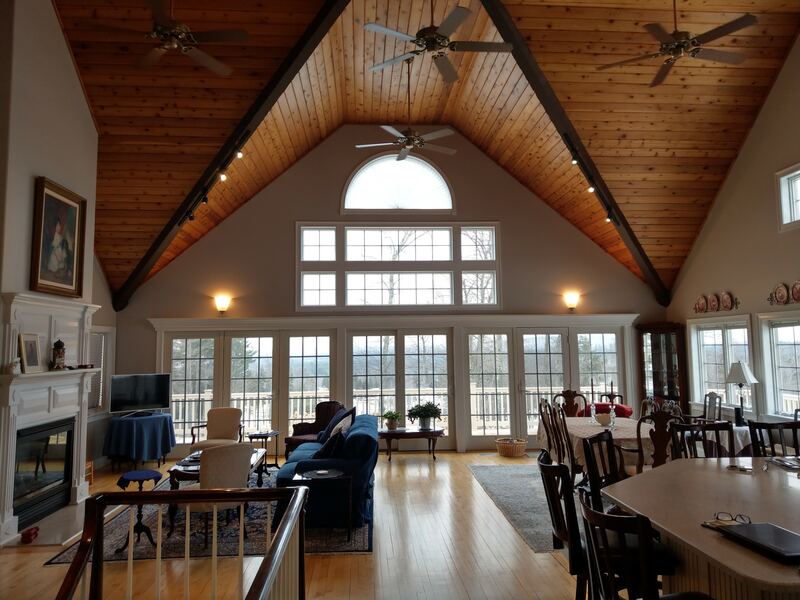 It truely was a very good experieance and I would certainly recommend you to anyone that asks..."
"We would like to thank you for the exceptional job that you and your crew did painting the interior of our lake home in Laconia, NH. Your crew was professional, pleasant, and courteous and did a tremendous job with painting all the stained trim and doors in the house, as well as painting the ceilings and the walls. We appreciate all the extra time you gave to this project and working within our time-frame. It was truly a pleasure working with you and your crew from start to finish and we highly recommend New England Painting to anyone." "Tony, I think you and the crew did an outstanding exterior paint job on our house. I considered your quote fair for the job. I would recommend your services to freinds and family." "Anthony and the crew of New England Painting did a great job painting our house. I was impressed by how responsive they were - they even finished the job earlier than promised. I would definitely call them next time we need our house painted." "Hi, Tony - Your team did a great job. I felt that you guys were very efficient in completing the work in such a short amount of time, and we are very pleased with the quality of the workmanship. I was especially impressed by the neatness of the work area after you were done. We will definitely have you back for more work in the near future. Thanks very much!!" "Tony, The painting was completed in a thorough, efficient, and timely manner with additional details that popped up quickly addressed. We are both so happy with how the project turned out and recommend New England Painting to friends and neighbors without reservation. We are certain to use New England Painting again next time we need our house painted." "I recently had my house painted my New England Painting. Their attention to detail and excellent work has left me with total satisfaction. I would not hesitate recommending them to anyone thinking of painting their house." "Dear Tony: Just a note to let you know how happy we are with the job you did for us. You were neat, efficient and cordial and you did in 5-1/2 hours what would have taken us days to do. We are recommending you to our neighbors and hope you get some business from here." "You guys did a great job! My neighbors came up to me after the job was complete and commented on how great my house looked. I would recommend New England Painting to anyone!" "Called New England Painting late on a Friday and the quote was in my office by Monday 8 am. The quick response was very much appreciated. Pricing was on target, and we faced a very aggressive deadline to meet. Tony and crew came in and completed a top quality job in 1 day. Thank you for the professional and excellent work completed on our expansion." "Tony, thank you for your excellent work getting my condo ready for move-in. Your team repainted the entire interior of my new home and the results are beautiful. I especially appreciate the high level of customer service you provide: a convenient website, prompt response to my request for an estimate, clear and timely communication throughout the process, and flexible scheduling to suit my move-in date. Outstanding work, Tony." "I was very impressed with Tony and his crew. Tony went out of his way to see that we were happy with the completion of the job. They did great with prepping and painting the exterior of the house. I was also pleased with their daily cleanup and considerate care of our shrubs and plants. They were reliable, honest, and totally professional. I would gladly recommend New England Painting." "Hi Tony, we are very happy with the paint job you did on the exterior of our house. The service was courteous and professional. We really appreciate it!" "I found Tony to have a good eye in regards to color selections and thought he was very accommodating and easy to work with." "We are grateful to New England Painting for their courteous, reliable and skillful painting service. The professionalism of their crew, and the results of our newly painted home made a for an very pleasant experience. We recommend them to anyone, particularly in this economy, when every dollar counts." "As a site supervisor I have to make sure our sub-contractors are on time on budget and put out top quality work. New England Painting does all of the above consistently and effortlessly. This is why we use them one house after another." "Just wanted to let you know how pleased I am with the house painting job you and your crew provided. Everything looks great and your men were very courteous and professional. Thanks for your attentiveness to make sure the job was done to my satisfaction. Feel free to use my name as a reference." "Hi Tony, I would just like to say thank you for the nice job that you and your crew did. The work was completed in a timely matter and it looks great. Your pricing was fair and I would recommend you to anyone. Again thank you." 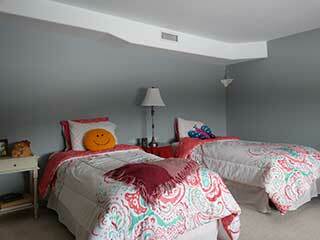 "Anthony and his team painted several rooms in our house. His work was high-quality and reasonably priced. The entire team was prompt, clean, and very professional. The job was completed in a timely manner and I am extremely pleased with the results. I highly recommend New England Painting to others." "Dear Tony, I'd like to thank you and your crew for the great painting job you did on my home last week. I'm very pleased with the results and wouldn't hesitate to hire you again." "Hi Anthony, We both want to thank you for providing such great customer service. The quality of work and competitive pricing made the whole experience a joy." "Hi Tony, I would like to thank you and your crew for doing a great job. We are very happy with your customer service. Your guys did a great job and were very professional and courteous. Our home looks wonderful! We are so pleased with how the interior painting job looks that we plan on rehiring your company to do the remaining areas of our home. Thanks again!" "Thanks so much for your outstanding work, your attention to detail and your quality workmanship. I really appreciate that you worked hard to expedite this work by washing and painting the house and deck in a very short time. You are a true professional." "Tony, Just wanted to send you a quick comment about how appreciative we are with the way you do business and the quality of work you provide. It is a refreshing change from other contractors." "Great to work with and accommodating of a tight timeline." "We are beyond pleased with the quality of work performed by NE painting. The crew was extremely polite & professional. We always got a quick response to any questions we had. They showed up when they said they would and always left the job site neat. We were also given great advice by Tony on the type of paint to use and we couldn't be happier with the results. We went from having the worst looking house on the street to the best! All of our neighbors have even stopped by and said so. Thank you New England Painting." "We absolutely love the results of our house being painted by Tony and his crew. Everyone was so pleasant and we are very happy with everything they did. 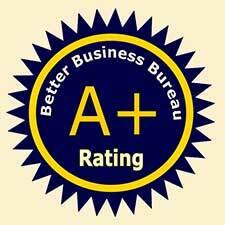 Great job and we would highly recommend them to all our friends and neighbors." "Tony, Thank you for doing an outstanding job. You and your crew are a top notch team. Thank you for your quick response with estimates, excellent communication throughout the process, fantastic pricing, and for getting us on the schedule quickly. You and your crew were courteous, professional, thorough and neat. I wanted to also let you know just how much I appreciated advice, your quick response and your willingness to help. It is difficult to manage things from afar, but knowing you were on the job made things a whole lot easier. I would recommend you to anyone doing a job of any size without hesitation. Thank you again." "Tony's team did a superb job. His crew was hard working, skilled and professional. They attended to details and double checked with us to be sure we were satisfied. They completed the job ahead of schedule and cleaned up thoroughly. New England Painting is first rate." "Tony was very easy to get in touch with from start to finish. The crew was well prepared, worked very hard and did an excellent job. They used very high quality paint to insure the best possible outcome. Tony communicated with us throughout the entire process. We are very pleased with the work and are extremely happy with the way our house looks. Thanks New England Painting for a job done with excellence!" "New England Painting did a great job on my office. They were prompt, reliable, and precise with their work. Everything was done professionally and on time. Tony and his crew were responsive to our questions and fit their painting schedule around our staff needs. Great work and highly recommend!" "Tony, The house looks fantastic. I am extremely happy with end result. You have great customer service and I will refer New England Painting to my friends & family." "Thank you to New England Painting , you did a fantastic job painting our office. Your professionalism as well as efficient work allowed our employees to have little disruption time within the work space and you completed the job earlier than expected with fantastic results ! From start to finish I would recommend you to anyone looking for a professional and detail orientated painting company. Your insight with assisting us when choosing our paint colors was much appreciated. Job well done." "My wife and I recently needed to have our house repainted. After calling five different painting companies we found New England Painting, and were happy that we did. The quoted price was the most affordable out of all the companies we had reviewed. Not only was the cost a great savings to us, but also the personnel at New England Painting were a pleasure to work with." "Hi Anthony, I just wanted to tell you how happy we are with the painting you did in our restaurant. It looks amazing. What a transformation." "It was a pleasure working with a professional contractor that was both on time and on budget. Your crew was neat and clean and you will be hearing from us regarding future projects. Please feel free to use D&W Contractors as a satisfied client reference." Free Estimates Within 24 Hours! I had an amazing experience working with New England Painting! Tony was very accessible throughout the process and the final product was outstanding. I would highly recommend to anyone in the market for professional and efficient painters. I was preparing my house for sale and needed 3 rooms painted in a very short timeframe. I did my homework, met with several companies and got estimates from each one. New England Painting came highly recommended (they actually painted the offices for the company I work at), and they were far and away the most reasonable and most accommodating when it came to my deadline and schedule. Not only did my rooms need painting, but one was in need of some significant mud work as well, they all came out beautiful! The crew was professional, courteous, and on time each day, cleaning up after themselves before leaving each evening. I couldn’t be happier with the results! I would definitely recommend this company to anyone who would like a great job for a fair price. Thank you Tony (and Christian). Great experience - we needed a painter FAST and Tony was very responsive with an estimate and the pricing was fair. He knew our time frame and I don't feel as though the price went up b/c were needed help quickly. Would definitely use this company again. This was a small commercial project. Tony was fantastic to work with. We wanted to paint the interior of our new house prior to moving in, and he got his crew there as soon as he could. They did a great job painting the whole interior, and worked through issues quickly when they arose. We will use them again to do some touch-ups once we’re ready! Tony and his team were punctual, polite, and wonderful to work with. We had 4 rooms in our house all done beautifully! Tony was very flexible when extra work was requested. I recommend his company to anyone in the area, and will definitely be recommending to family and friends. Thank you! Tony and his team at New England Painting did an exemplary job in painting our entire interior house. His team was meticulous in their technique and spent extra time correcting and repairing existing wall defects so that their painting would look good. The team was accommodating to our feedback and requests for on-the-spot changes. The paint job was completed expeditiously (much quicker than we had anticipated). The team was extremely respectful and courteous. We are very happy with the end result and would highly recommend. Tony and his crew did interior painting of my whole condo for me. It came out phenomenal. I am still in awe as I gaze around at the walls. I cannot believe it is the same place. The lines where they cut in the paint is perfect. My husband is astonished at how incredible it looks. They were very professional and great communicators. I have no complaints at all. I am a perfectionist so that is saying something. I will certainly use them again for any future projects and recommend them to my clients. Do yourself a favor and cut out any headaches ahead of time by hiring these guys. I am glad I did. Thank you Tony ! New England Painting is top notch in my book. Great work from the team at New England Painting. Had them complete an interior paint job and they were able to complete the job on time and no problems. Tony and his crew did an outstanding job painting my condo. They were professional and able to complete the project in a short period of time without sacrificing quality work. Tony gave me a comprehensive estimate that included repairing holes in the walls and filling in gaps in the baseboards. Highly recommend!!! Very Professional. Great team of painters who took the time to pay attention to details. I could not be happier! Tony and his crew did a great job. I was in need of a quick turnaround and these guys delivered. I would wholeheartedly recommend New England Painting to anyone in need of painting services. This is the second time I've used New England Painting for a residential project and I continue to be very satisfied with their work. Tony and his team are skilled professionals with a focus on customer satisfaction. They are thorough, easy to work with and deliver a high quality product. From start to finish it was easy working with Tony and John. Tony came on Wednesday morning to give me an estimate for painting the ceilings on the first floor of our home. One had stains from some water damage. He gave me an estimate on the spot and emailed a contract. Later in the day he let me know that they had a cancellation and could do the work the next day. Wow! John came and did an excellent job. The entire place looks so much brighter. I have a policy that if my dog doesn't approve of a workman/woman I don't hire them again. Dogs are great judges of character. Both Tony and John passed the dog test. They were both kind, professional and personable. I will definitely call them again when I need work done. Our house had a lot of horrible wallpaper. The crew from New England Painting did a very good job removing all of the old wallpaper and painting the inside of the house. They are very thorough and easy to work with. Tony and his crew were so wonderful to work with. Estimates were given quickly and work done as promised. I will be recommending them to anyone looking for a painter. Thanks New England Painting! Our family has been in the Concord area for nearly two years. Prior to moving, the team at New England Painting painted a beautiful accent wall surrounding a two story fireplace and two bedrooms. Once we arrived, it was terrific to move right into the freshly painted areas with no concerns. The team delivered on their commitments with the highest of quality and went out of their way to make our move a success. The experience has led us to once again use Tony and his team. Just as with the original experience, it was once again extremely successful. The schedule was tight and the team did everything to meet it without sacrificing any quality. 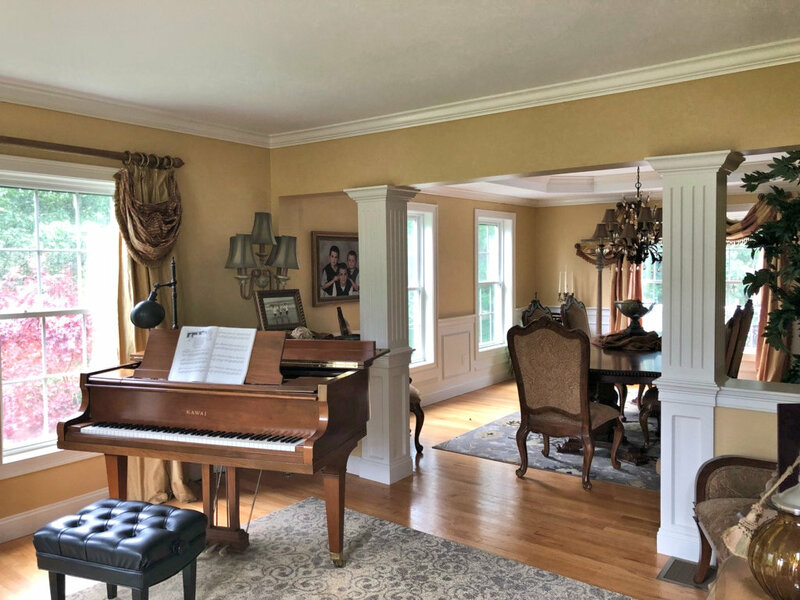 Being a repeat customer, New England Painting had set the standard and expectation previously, and they were successful in meeting them the second time. Tony and crew were wonderful! We had three rooms that got a new face lift. Two had old wallpaper that needed to be removed. They were prompt, courteous, helpful and the rooms look awesome! Tony would check in with us throughout the project to make sure we were pleased with all aspects of the project. Sherwin Williams paint was used, great quality and the staff at the store made it easy and they were very helpful with paint choices and suggestions. Matt and Ethan just finished my condo, and they did a great job. Would definitely call Tony again if I need more work done. Thank You, New England Painting. Tony was quick to respond with an estimate and once we agreed on a fair price, started work immediately. 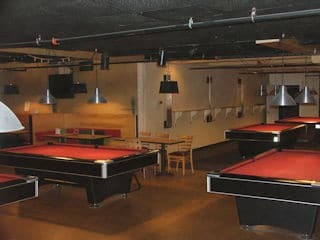 The guys did a great job and the place look amazing. Highly recommend their service. "Tony was very professional and the workmanship was excellent! I couldn't be happier with the results of the painting of my home. Thank you New England Painting!" Tony was very easy to get in touch with from start to finish. The guys (Matt and Ethan) that did our work were on time, well prepared, worked very hard and did an excellent job. They used very high quality paint to insure the best possible outcome. Tony communicated with us throughout the entire process. We are very pleased with the work and are extremely happy with the way our house looks. Thanks New England Painting for a job done with excellence! Tony and his team did a great job painting our new home. They were very trustworthy and responsive. We also enjoyed Tony's sense of humor and warmth. I highly recommend them and will be calling on New England Painting for any future painting needs. I bought my house a few years ago and it was in desperate need of a paint job. I hired New England Painting I was very pleased with the results. We got several estimates and theirs was the best value overall. Tony and his team were very easy to work with. They made sure that the house was painted exactly how we wanted it - I would definitely recommend them. The house looks great!